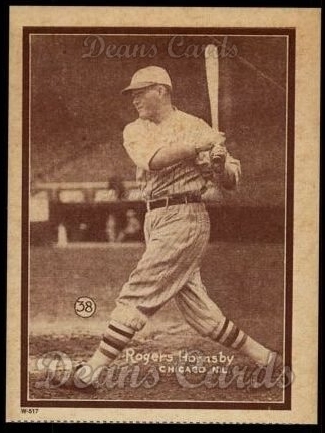 The 1931 W517 strip card is has one of the highest densities of Hall of Fame players of any set ever printed. At least 60% of the players featured in the set are now in the Hall of Fame. This set is one of the more popular strip card sets because the cards are closer in size to regular cards and feature so many star players. Here at DeansCards.com, we have found that strip cards are usually not as popular as other cards around the same time. This may be because the condition is so dependent on someone else cutting the card correctly at least 70 years ago. However, the W517 and Exhibit cards remain highly popular strip card sets due to the popularity of the players in both sets. The W517 cards measure 3” by 4” when cut correctly. The set includes 54 a total of 54 cards. They were initially printed in vertical sets of three cards. The store owner usually cut the cards prior to selling them, but they could also sell the entire strip. Each card was printed in either green or sepia ink, but there is usually not a price difference between the two variations. A set of mini W517 was also printed around the same time. The mini cards have a significantly smaller population and are sold at a premium today. The mini cards were probably sold in postcard form like the Exhibit cards, meaning that they would have been in a 4-card sheet. The #20 Babe Ruth card is one of the most popular W517 strip cards in the set. Currently, DeansCards.com has a sepia Ruth card in stock. 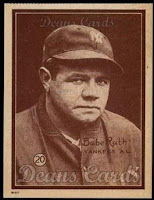 At the time this card was printed, Ruth was in the twilight stage of his career. He would retire a few years later in 1935. 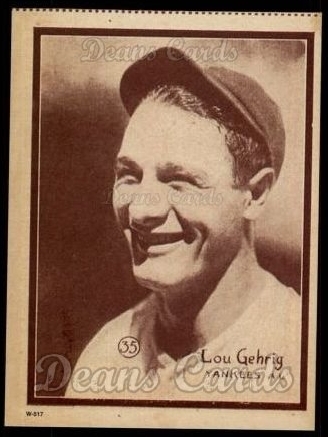 Even at 35 years old, he had still hit 49 home runs in the 1930 season. 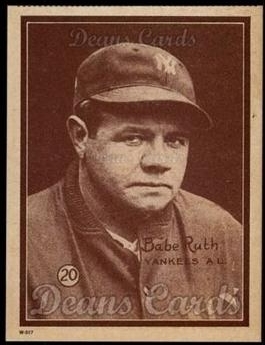 This set commemorates many other Hall of Fame players, but Ruth’s solemn expression makes his card particularly memorable. The W517 reprint cards are especially popular with collectors. It can be hard to find some of the stars and common cards in nice condition because the cards were hand-cut. The reprint cards were, obviously, not hand-cut, so they have a uniform size and shape. If you are interested in viewing the reprint cards, please click here. 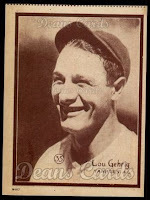 DeansCards.com is always looking to buy 1931 W517 cards. If you are interested in more information about selling a collection, please click here. If you are interested in seeing our selection of W517 cards, please click here.